Kok Sen Coffee Shop is a very ordinary old coffee shop along Keong Saik Road and it’s a place we settled on for a weekend lunch as my family used to come here a lot in the old days. 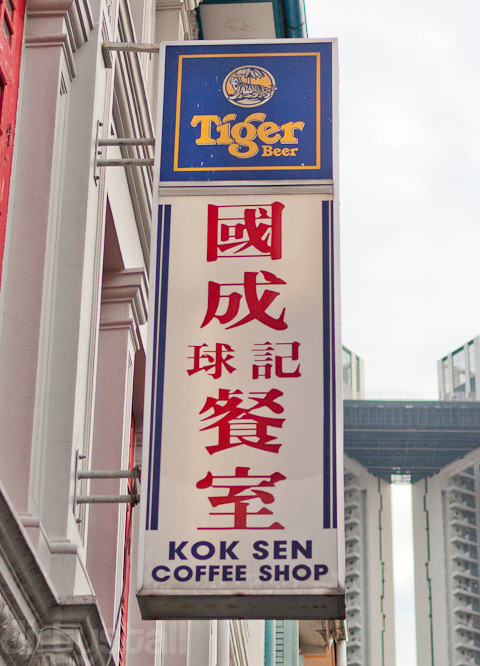 An interesting fact I learned is that my family is actually distantly related to the owners of Kok Sen but loss of contact over the generations means we don’t know each other anymore. 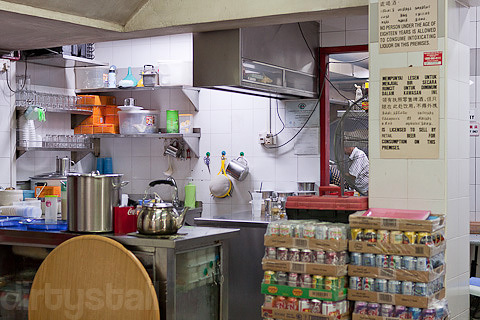 Kok Sen is really more of a zi char stall rather than a coffeeshop, despite its name. 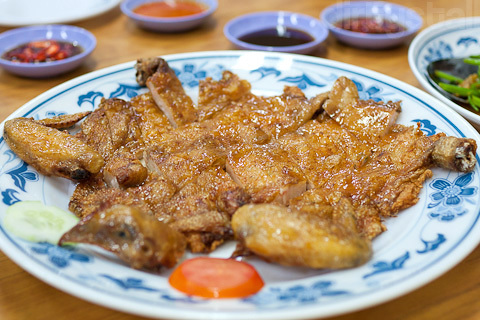 This is one of Kok Sen’s specialties – the “crispy skin golden dragon chicken”, literally. 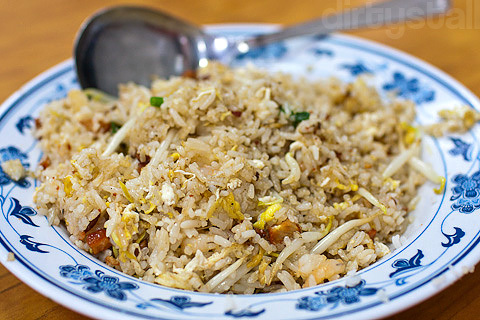 Salted fish fried rice, a staple of zi char stalls and Kok Sen does a pretty good rendition of it, but I’ve tasted others which had more oomph. Fish soup, I didn’t like this too much because I felt it was a bit on the bland side and tasting too strong of the vegetables that they cooked inside. A bit more like vegetable soup than fish soup! And this was what we came here for, the “golden dragon chicken”. I remember always getting to eat this as wedding dinners when I was a kid but I don’t think they serve it at weddings these days. It’s basically a chicken that’s been “de-chickened”, leaving only the skin which is then filled with squid paste and then flattened. Later on they grill or fry it to a crisp and the result is paper-thin crispy skin with a savoury filling inside that’s a delight to eat. 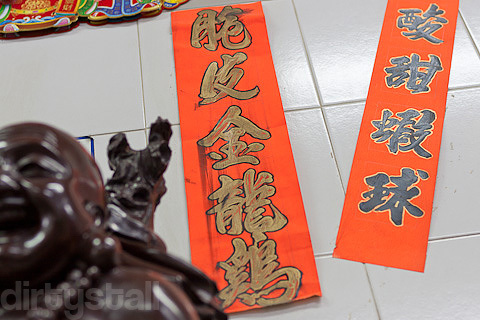 This is a pretty popular place in Chinatown so be ready to wait at the peak periods. 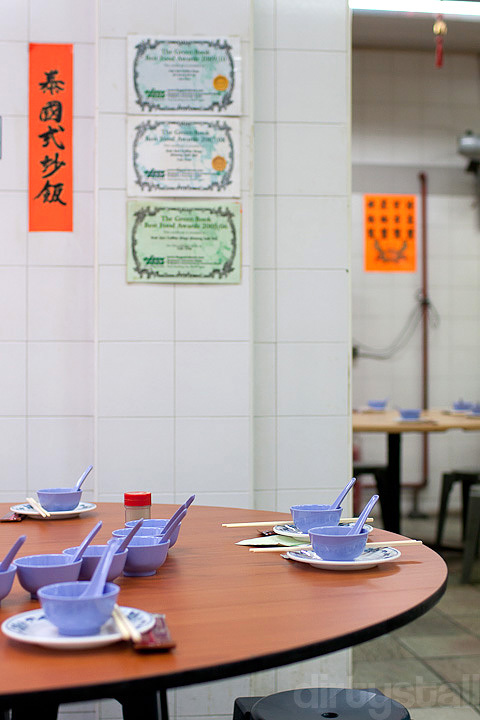 It’s definitely worth trying some of their other dishes too, like the beef horfun or the three eggs vegetables. 3 Responses to "Kok Sen Coffee Shop"
Haha yeah I’ve got to try the prawn paste chicken the next time I’m there. heard good things about that dish from other ppl too! Haha, I just had lunch last week there.